Technological advancement has resulted in a number of new gadgets being invented. 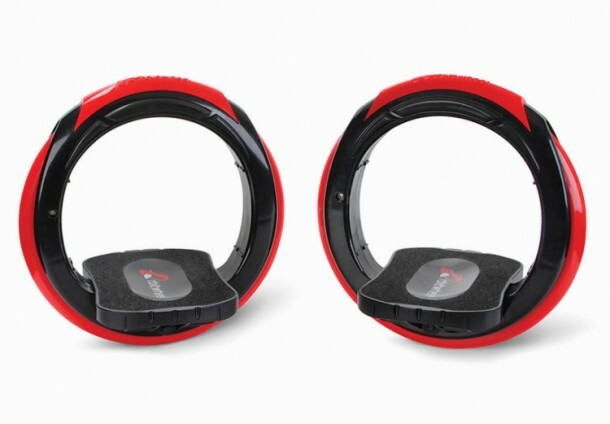 Here’s one such invention that revolutionizes the pedestrian transportation; circular skates. They impart the feeling of skateboarding but without a board. The users are required to have their feet planted on the inside of ring. This results in the user standing on a platform that resembles pedal and capable of rotating inside the circles on tracks. The end result feels like riders hovering over the sidewalk. Hammacher Schlemmer, website known for unique gifts, is retailing the gadget at $99.95. The product has been released recently and therefore, there is a lack of reviews in the market. If nothing else comes out of them, at least they sure have qualified as one of the top concepts of 2015.
this looks so hilariously lame. are he helmets included? They should add straps so you can jump over stuff.